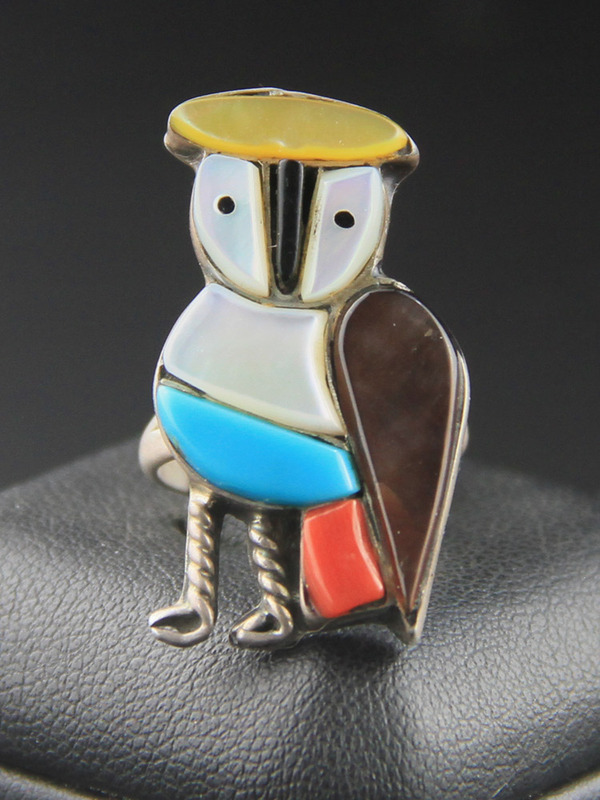 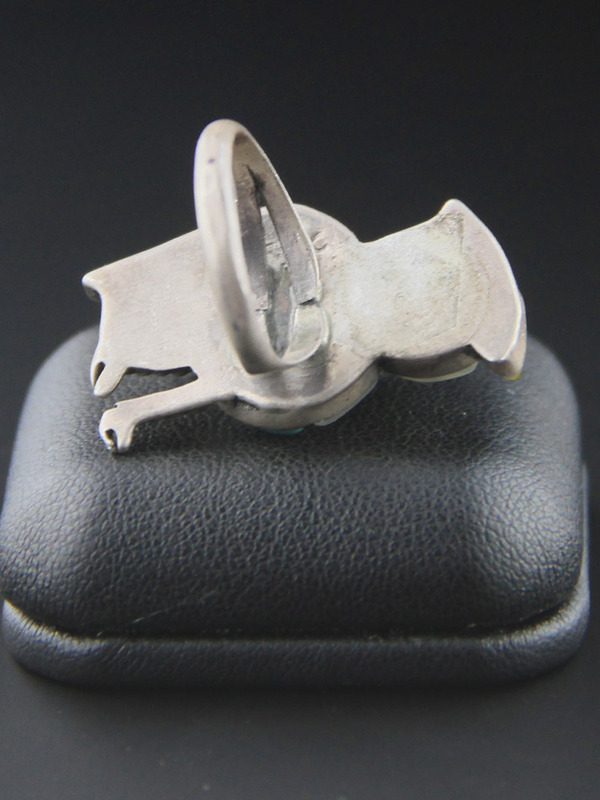 Fantastic vintage Native American ring, Navajo made owl ring. 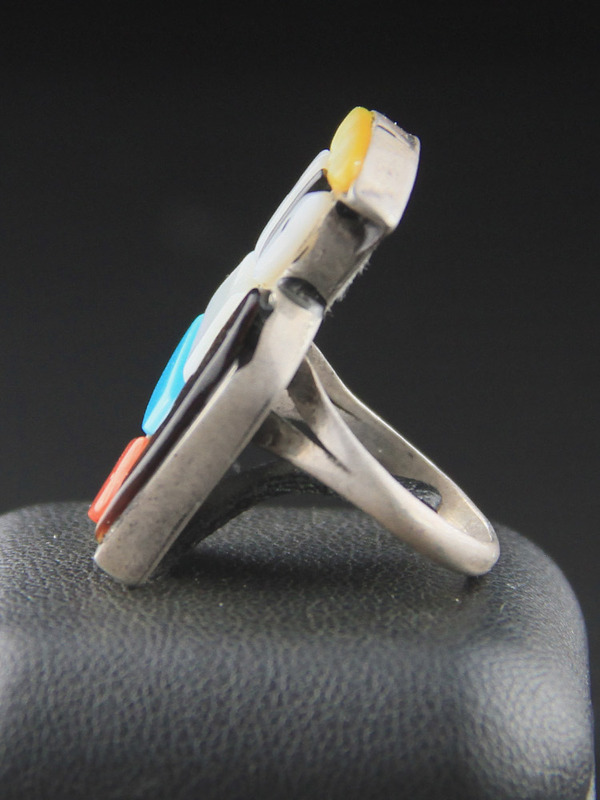 Handcrafted, made c 1980, sterling silver with inlay of onyx, mother of pearl, turquoise and agate. 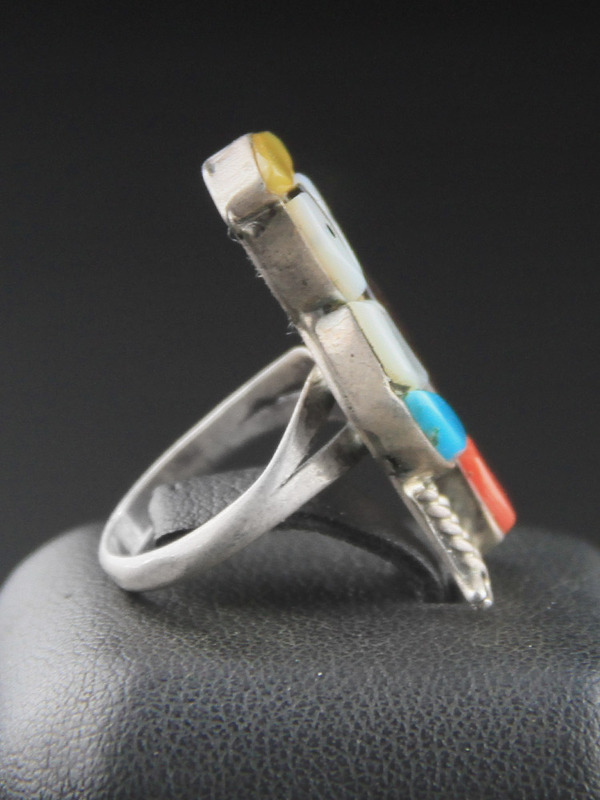 It's a sweet design, nicely executed with attention to detail and a cute expression, a beautiful piece of vintage Navajo jewelry.